Get a car regardless of your bad credit. If you have bad credit, buying a car is not as hard as you might think. Many people feel that they have no options with a bad score, aside from building up their financials to a better place, but that is not the case. While your credit is certainly considered when you go to a purchase a vehicle, there is more taken into account than your score alone. Believe it or not, credit scores can contain inaccuracies. While this will not likely increase your score by a drastic amount, checking your report before speaking with your car dealer is worth the extra time and effort. According to the U.S. Department of Motor Vehicles, erroneous information on your report can make your credit score worse. Request a copy and verify that your information is accurate before having a lender take a look. If you have found errors on your credit score and repaired them, you are off to a good start. But when requesting your credit report, make sure you give yourself enough time to not only correct inaccurate information, but have a few months of solid on-time payments. Yes, your credit score is a history and will take into account all of your late payments, but if you are consistent in the short months leading up to your car purchase, you are going to look like less of a risk in the eyes of the dealer. There is nothing wrong with going to a lot with high expectations, as long as they are realistic. Remember that car dealerships, especially those with in-house financing, are looking to make a deal. They want to sell you a car as badly as you want to purchase one, so having goals in mind and knowing where you want to start will help make the process smoother, Bankrate noted. The dealer will see where your interests are, and you two can work from that point. If you walk onto a lot and simply have a credit score, asking "What can I afford?" probably won't get what you are looking for. "Don't let damaged credit make you feel you aren't entitled to a new ride." While a co-signer isn't necessary, it certainly has its benefits, including getting you a potentially lower rate. But even if you are confident in your ability to repay the loan by yourself, having someone with you during the process is a good idea, if only for moral support. Sometimes another set of eyes on the contract, or even on the vehicle of choice, can help you feel relaxed and comfortable in your decision. Purchasing a car is a big investment, and not one to be taken lightly. Therefore, bring a friend along for the ride. Having expectations in place is a great start when stepping onto a lot to purchase a car. This will let the dealer know you mean business. However, don't have your expectations so hard in stone that you aren't willing to negotiate or settle for anything less. Negotiating and conversing about the car and about the finances is part of the process, and if you are unwilling to do this you are only hurting yourself. There are all kinds of vehicles out there, just like there are all types of financing plans. You don't want to focus on one more than the other, but be able to solidify both that work for you. Whether you are looking to purchase your first car, are looking to trade or simply want to add a car to your collection, don't let damaged credit let you feel you aren't entitled to a new ride. Do your research, speak to a dealer and come to an agreement on selecting a car that is right for you, financially as well as practically. Very informative…..Beware of multiple credit inquiries, as they can lower your score even more. That means applying to only 1 auto dealer at a time who is specialize in bad credit financing, and that they are not sending your credit application to multiple lenders without your expressed consent. 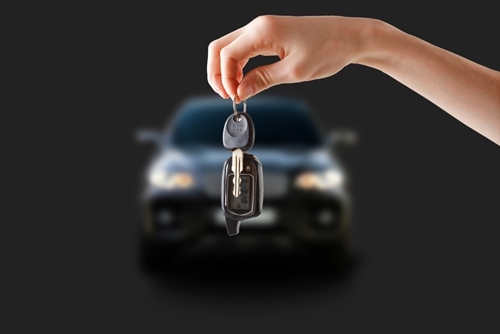 Great tips for first time car buyers. The dealership experience can be intimidating if you aren’t prepared.